A strong base is a base that is completely dissociated in an aqueous solution. These compounds ionize in water to yield one or more hydroxide ion (OH-) per molecule of base. 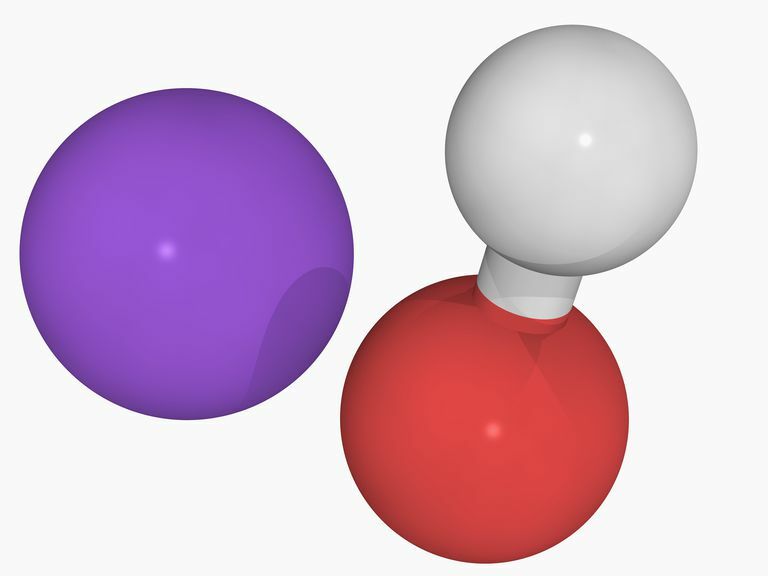 In contrast, a weak base only partially dissociates into its ions in water. Ammonia is a good example of a weak base. Strong bases react with strong acids to form stable compounds. Fortunately, there aren't very many strong bases. Note that while calcium hydroxide, barium hydroxide, and strontium hydroxide are strong bases, they are not very soluble in water. The small amount of compound that dissolves dissociates into ions, but most of the compound remains a solid. The conjugate bases of very weak acids (pKa greater than 13) are strong bases. The Group 1 (alkali metal) salts of amides, carbanions, and hydroxides are called superbases. These compounds cannot be kept in aqueous solutions because they are stronger bases than the hydroxide ion. What Are the Strong Bases? What Determines the Strength of an Acid or Base? Chemistry Basics: What Is a Buffer? What Is a Base in Chemistry? Can You Mix an Acid and a Base? What Is a Weak Base? What Is a Strong Electrolyte?